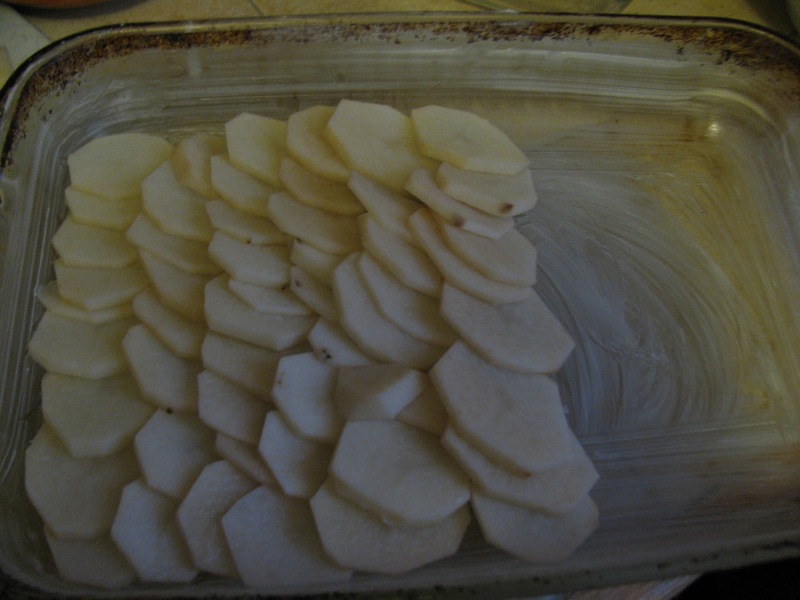 It’s true…making homemade scalloped potatoes is not scary-in fact it is almost fool proof (trust me). This recipe was born out of my love for the potatoes but not of the strange looking dehydrated like potatoes you can buy in the box. This is a fix it a forget it meal. So versatile and you can easily add in extra ingredients and flavors to fit your likes. 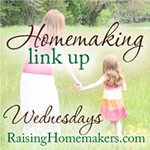 I will share the basic recipe and from there have fun making it your own! Ingredients needed to get started. 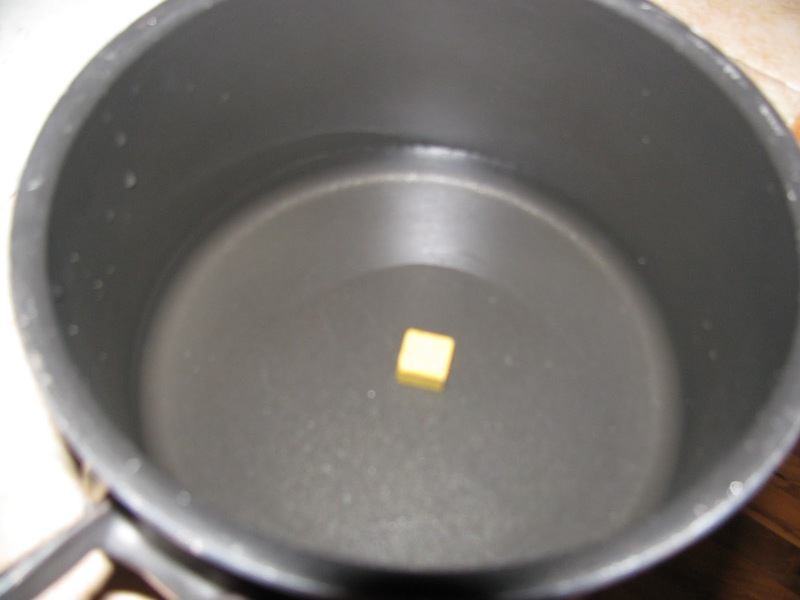 First step add1-2 bouillon cube (s) to 1 3/4 C water and bring to a boil and remove from heat. 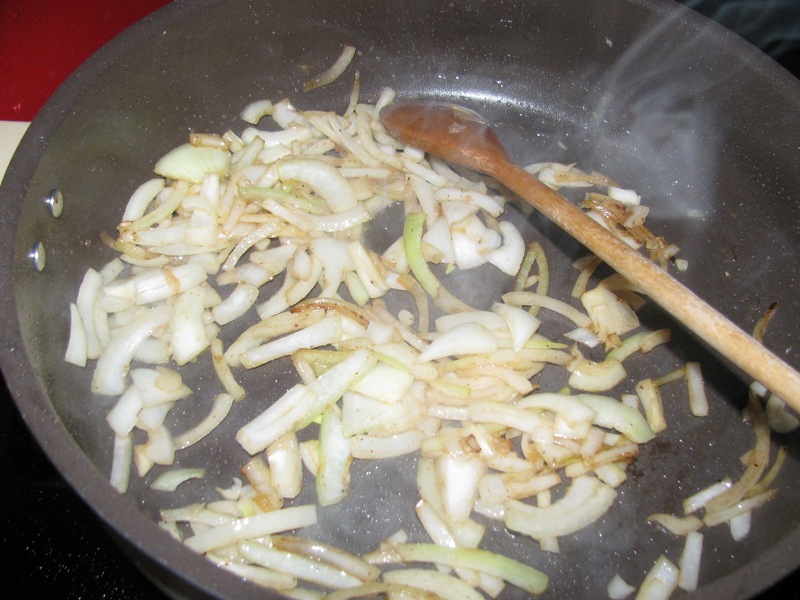 In a large skillet heat 1-2 Tbsp olive oil over med-high heat. 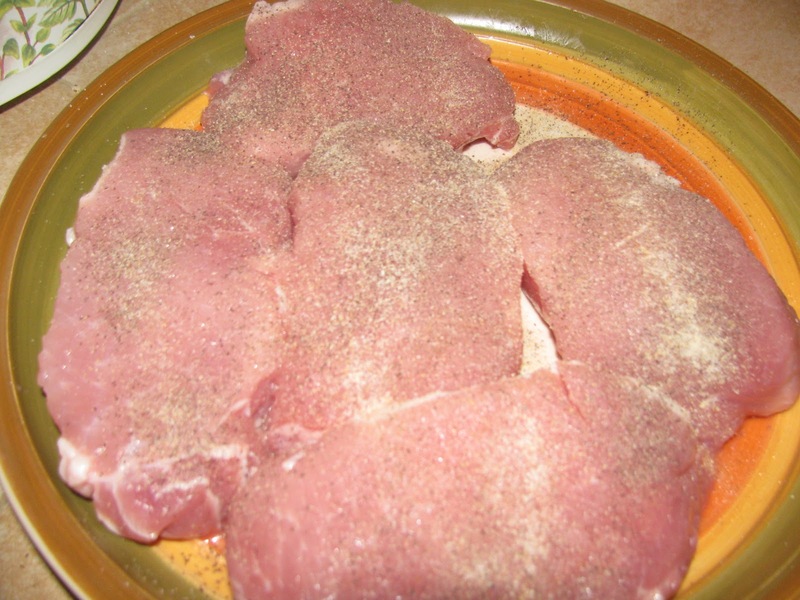 Season your chops with salt and pepper. 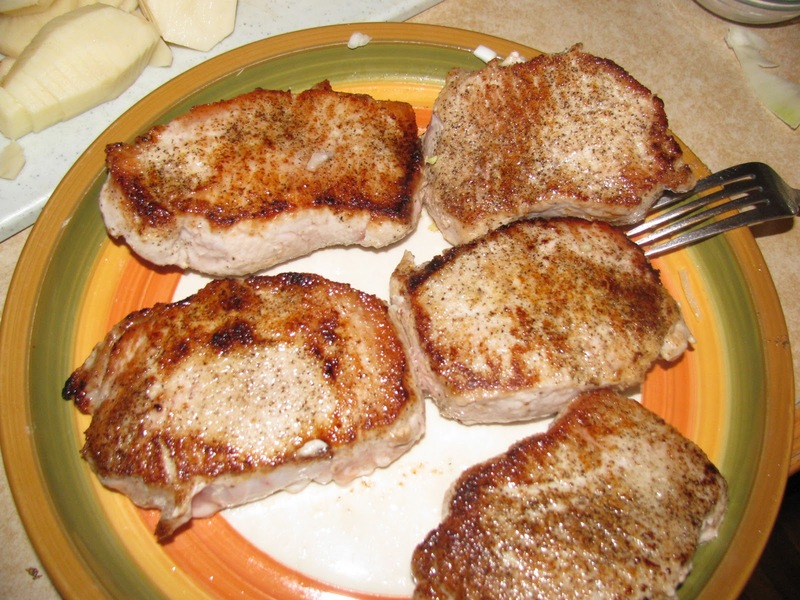 Add pork chops to pan and brown both sides-3-4 minutes per side. 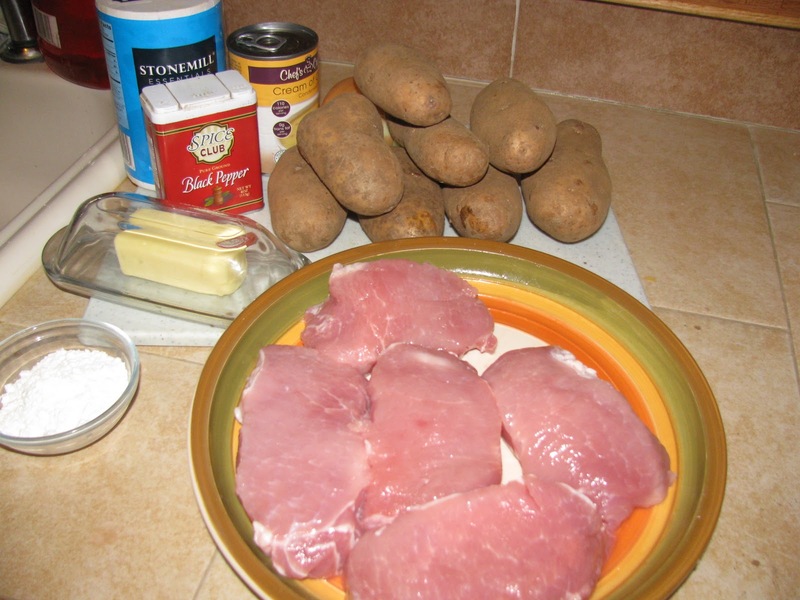 While chops are frying prep your potatoes. Nice and golden on both sides. 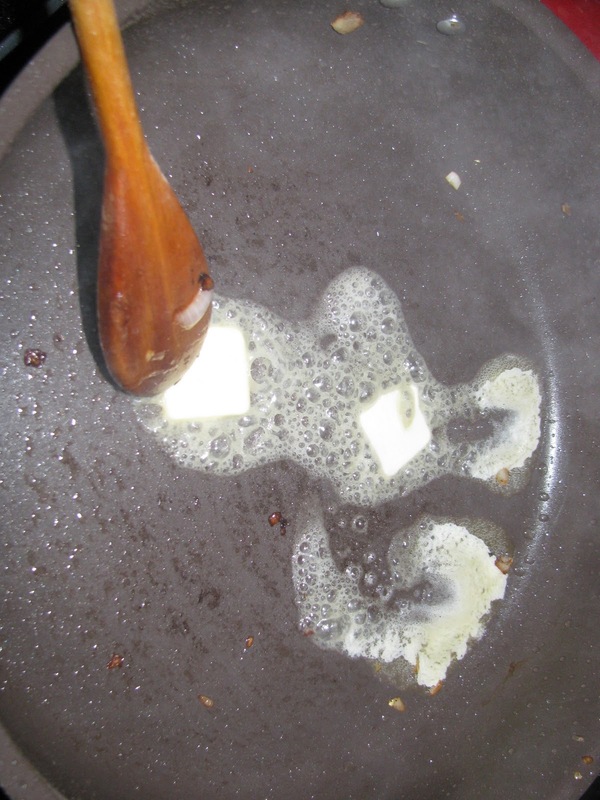 Melt 2 Tbsp butter in hot pan. 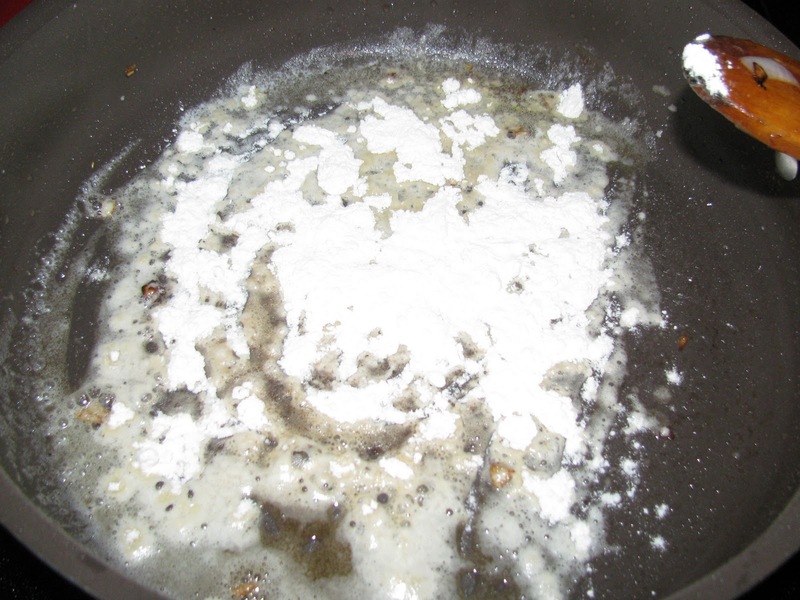 Add the flour and whisk to make a roux. 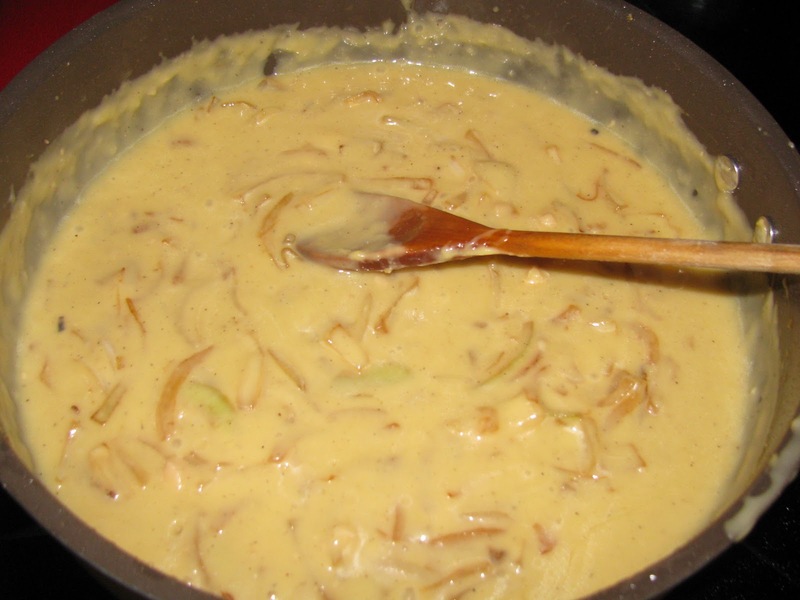 Add in the chicken broth and cream of chicken soup( and optional cheese.and any other veggie add ins).Add the onions back in and turn heat to low. it will still cook evenly and thoroughly). 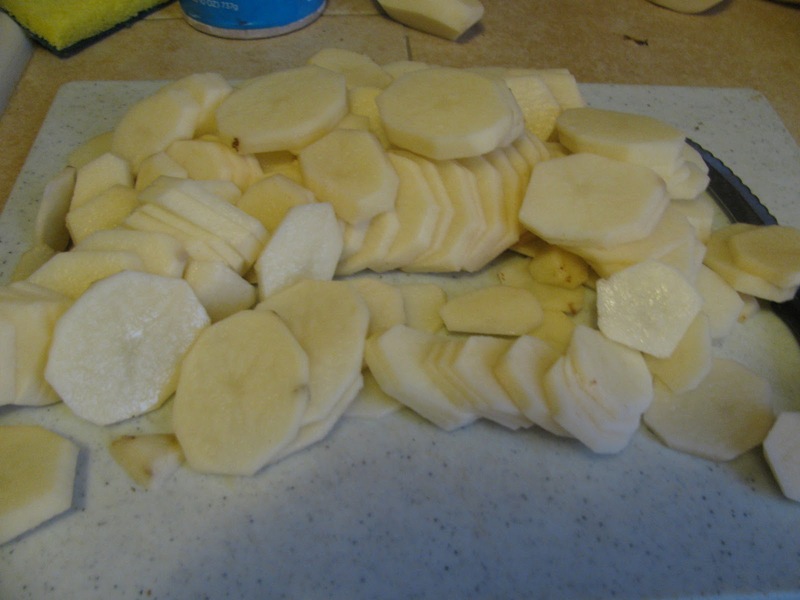 Pour sauce over potatoes-no need to mix. 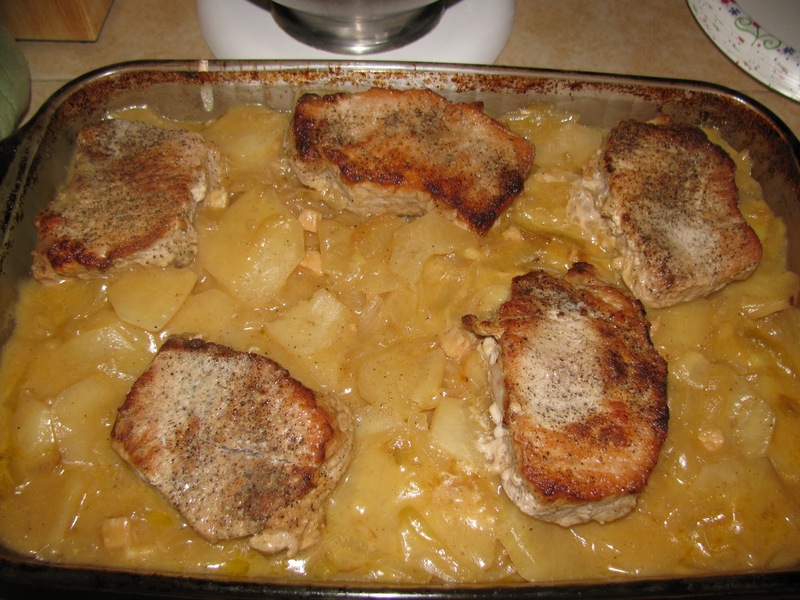 Lay pork chops on top of potatoes. No need to press them down. a 300 degree oven for 2-2 1/2 hours. Ta-Da! 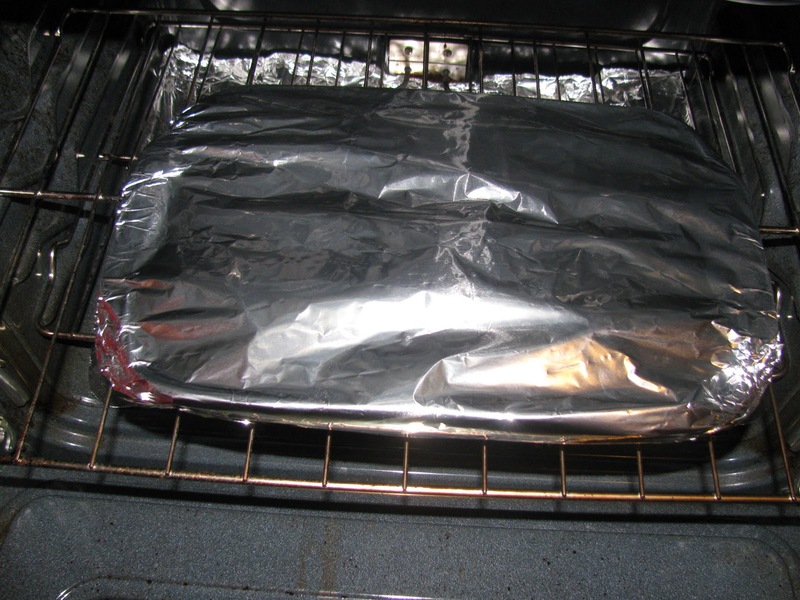 Remove foil and let sit for 10 minutes to give the sauce a chance to thicken. See-easy 🙂 You can also make this ahead of time and stick it in your fridge until you are ready to cook. 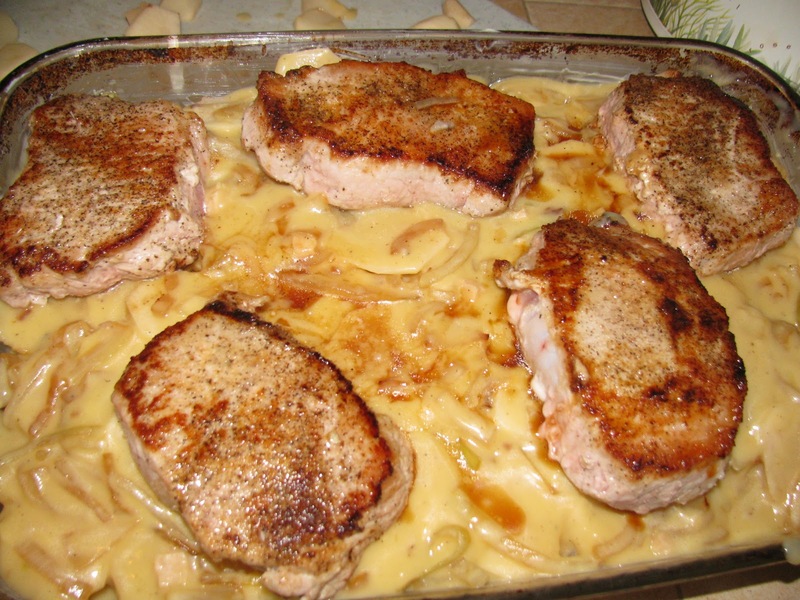 Just remove from fridge 30 minutes before baking to allow the pork chop bake to come to room temperature (ensures even cooking time and keeps meat from being tough). Try adding sauteed mushrooms, different cream soups such as cream of mushroom or cream of celery, or our favorite green beans. Season with your favorite herbs and spices to give it even more flavor. 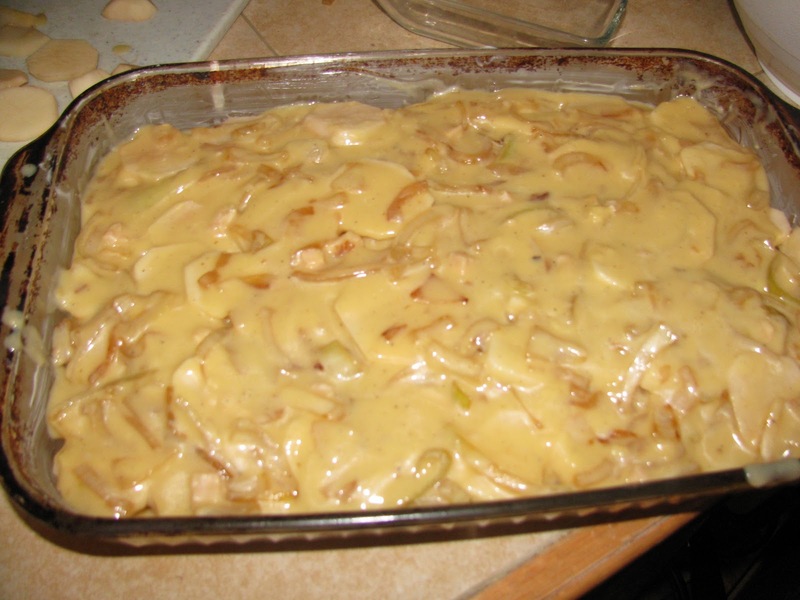 Try adding some grated cheese to the sauce-makes the dish even more decadent! This is also an easy meal to put together to bring to a sick friend or a family with a new baby.